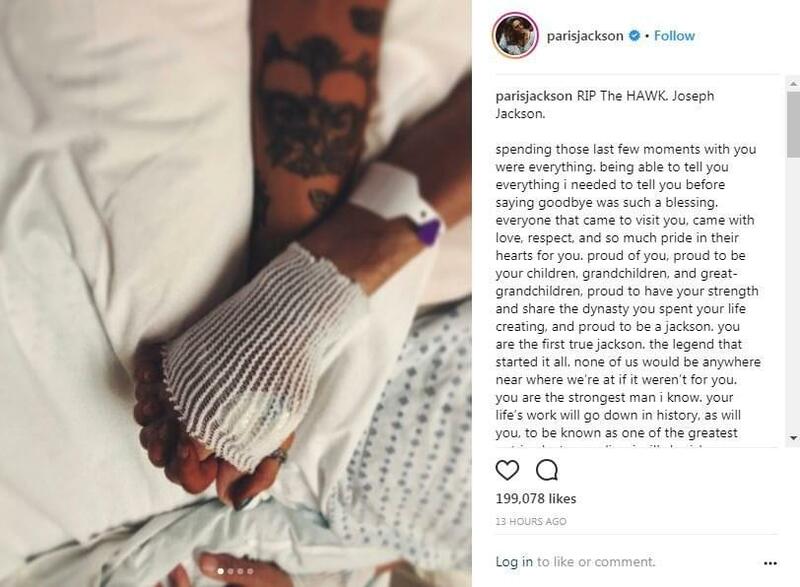 (CNN) — Paris Jackson is usually pretty private about her life, but she has opened up to share her last moments with her grandfather Joe Jackson. The patriarch who helped launch the careers of his very famous children died Wednesday in Las Vegas at 89. On Instagram, the daughter of Michael Jackson posted a photo of what appeared to be her holding her grandfather’s hand and photos of him as a younger man along with a lengthy caption. The elder Jackson’s death came two days after the ninth anniversary of his son Michael’s death. Paris Jackson said she made her grandfather promise he would “visit” her. “I’ll see you in my dreams very very soon,” she ended her caption.